To the astute reader—or to the one familiar with calendars—today is my first ever, late blog entry. Gasp! “I don’t believe it!” “How could you?” Or as my mom said: Your fans must be devastated. If sarcasm had a font, her words would be emboldened, italicized, and underlined in it. However, with the antics of finishing this first year of graduate school, I didn’t make time to write a post. Tuesday I had my grand presentation, and yesterday I had a final in statistics and a 20-page paper due at 5:00—excuse me, I thought it was due at 5:00; at 3:45 I found out it was due at 2:15. Thus, the beers did flow greatly last night. But as I gulped down some alcohol, I had plenty of time to envy everyone and anyone who wasn’t a graduate student. And with my good pal Shakespeare’s birthday yesterday (another individual frequented by my envy) I thought, Hmmm; envy could be fun to write about. So first, let’s distinguish envy from jealousy. Jealousy is the fear that you’re going to lose a personal relationship with someone else. For example, when a significant other flirts with a friend, we worry our significant other will cease wanting to spend time with us in favor of someone else. As animals, we are wired for hierarchy and are constantly using others to determine what our own accomplishments, desires, even feelings are. Envy, then, is an upward social comparison. We identify a gap between what we have and what someone else has. Research has demonstrated that there are two types of envy: malignant and benign. Malignant envy is where you wish others didn’t have what they have. Benign envy is where you wish you had what others had. Although benign is better than malignant, either way, extended feelings of envy are unhealthy, not only psychologically but physically—studies showing that extended periods of envy can result in a compromised immune system and impaired mental functioning. Furthermore, a big component of envy is frustration—the unattained wanting of something coupled with a sense of injustice. And in fact, schadenfreude, the German word for experiencing pleasure at the expense of another, is common to envy. However, as bad as envy may be, it can also communicate to us what we value. 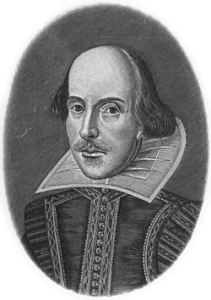 For example, I envy Shakespeare’s amazing ability to pull off baldness with poofy side-head hair, which indicates that when I lose my hair (thanks for those genetics, Pops), I’d like to be able to look equally dapper. So while this post may have started out with me envying you non-graduate students (that is, free time is something I value), I’m pretty sure you’ll start envying me as summer break begins on Monday. Source: Fiske, S. (2011) Envy Up, Scorn Down. Russell Sage Foundation. New York, New York.